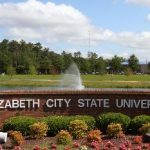 Elizabeth City State University will open its first American Indian Programs support office, providing the campus with support and a variety of options for faculty, students, staff, and administrators to work with, and for, indigenous people and programs. According to the program director, Dr. Lloyd Mitchell, the office, is to be temporarily located in room 123 of the R.L. Vaughan Center, but has plans to expand to a more permanent location as resources increase. “Part of the Chancellor’s Civic Action Plan, it is academic related and designed to support faculty, staff, students and administrators who are indigenous or interested in student STEM, aviation, aerospace, business, and health related areas research and service for with indigenous communities,” said Dr. Mitchell. Dr. Mitchell says the idea is to provide information and support to members of the ECSU community, especially teams consisting of faculty, staff, students, and administrators who are interested in working with indigenous communities in the areas of STEM, aviation and health on jointly funded projects. He said it is important to provide resources to the ECSU students community to understand the cultural, identity financial, and geographical, complexities of these indigenous communities recognized by the Federal Government, which are very diverse, and including Asian Pacific Islanders, Puerto Rican Taino, Native Hawaiians, and Alaskan Natives. “If you want to work with the indigenous communities, you need to understand them,” said Dr. Mitchell. The office will also provide support for indigenous students by serving as a liaison to tribal education offices and will provide faculty students with assistance in research grant preparation, and proposal reviews. Dr. Mitchell and other faculty members plan to work with indigenous communities in an effort to bring students to ECSU to study in any one of the university’s many STEM, aviation, business or health professions programs. “We are designed to promote education and research and serve students from all indigenous communities,” said Dr. Mitchell, who, for nearly 15 years, has been serving as a mentor to native students completing training or degrees at ECSU. Many of the native students Dr. Mitchell has mentored at ECSU are now practicing in professional fields such medicine, geoscience, disaster planning and response, and international affairs. A grand opening of the program office will take place Thursday, Nov. 29 at 12 p.m. in the lobby of the Gilchrist Education Building. 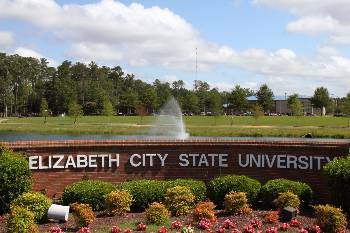 © 2018 ECSU is a constituent institution of the University of the North Carolina System.